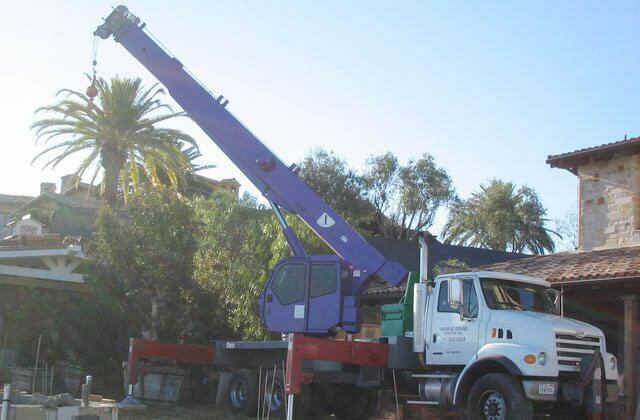 Purple Crane is a family-owned business that offers high quality mobile crane rentals with CCO-certified operators at great rates to the Riverside area. We've been providing our superior services for 30 years and have completed more than 75,000 lifts for tens of thousands of customers. As a testament to our competency and high quality crane services, the majority of our jobs come from past clients or referrals. Our inventory also includes trucks, trailers, vans, rigging equipment, and man baskets. Our diverse inventory allows us to meet the varied needs of Riverside's diverse industries: construction, landscaping, water and power, heating and air conditioning, transportation, and more. Our smallest cranes have a 3-ton capacity, while our largest has a 75-ton capacity and 163-foot reach. Our man baskets can hold one worker (up to 300 pounds) or two workers (up to 500 pounds), and we have trailers to accommodate loads of up to 15,000 pounds. Every crane rental we offer to our Riverside customers comes with a highly trained and experienced crane operator. Our crane experts have the expertise to know which questions to ask in order to properly determine the right crane for your job. 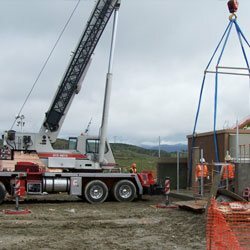 With between 9 and 40 years' experience, they know how to get our cranes safely to your site and complete the job in a timely manner. 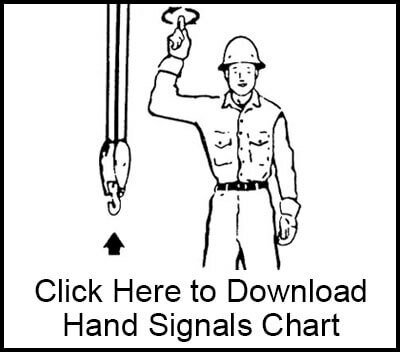 We are certified by the National Commission for the Certification of Crane Operators (NCCCO), and are members of the SC&RA, Specialized Carriers & Rigging Association. Purple Crane complies with all OSHA regulations, and is insured by NBIS. We can provide certificates of insurance usually within a day, and can provide emergency crane services. Our cranes can be rented for as little as two hours, anytime of day or night. 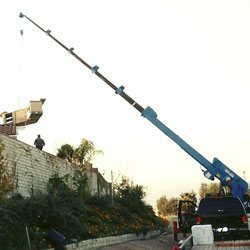 Call us now at (909) 622-0600 to learn more about our crane services in Riverside. Credit cards, cash and checks are all accepted. Credit accounts can be opened for those who qualify. 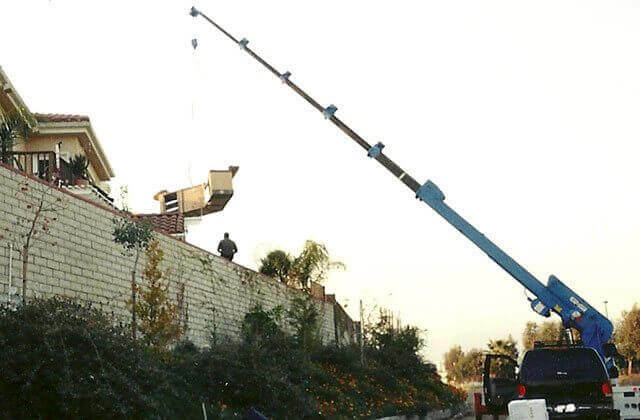 For big residential or commercial remodels, a crane might be required to facilitate the installation of your new air conditioner, gazebo, spa, swim spa, Jacuzzi, hot tub, sculpture, or barbecue. 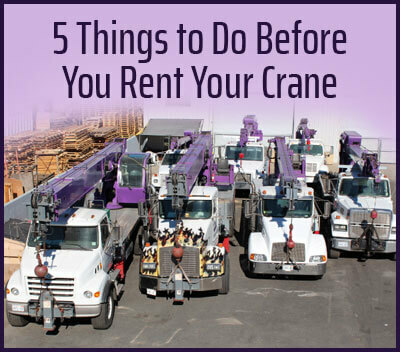 Purple Crane is prepared to assist you with the moving or lifting of any of these items. We have helped remove, transport and/or install outdoor furniture, equipment, and other structures throughout Riverside. Call us today for a quote. We can work with remodeling contractors or directly with homeowners. We often assist landscaping companies in Riverside whenever they need to move huge boulders, statues, fountains, trees or other heavy or large objects for their clients. We also rent man baskets that can be attached to any of our mobile cranes when you need to trim, shape or thin trees on a Riverside property. We are available 24/7 to answer any questions, and can obtain an insurance certificate within a day. 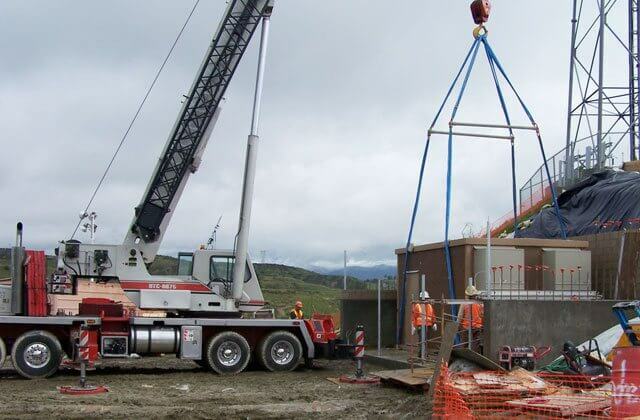 With our wide range of cranes and very experienced, CCO-certified crane operators, we can handle lifts up to up to 75-tons and as high as 165 feet. Our crane services include offloading trucks or trailers, stacking heavy items carefully together, or transporting items to another worksite or approved scrap-yard in Southern California. At Purple Crane, our crane operators can move machines and equipment of any dimension at a very competitive rate. We frequently lift medical equipment, manufacturing equipment, large appliances, and printing presses. 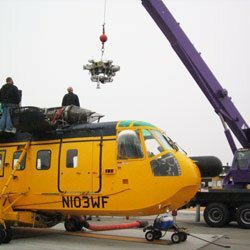 We can also transport machines or equipment safely between Riverside and any other location in Southern California. Call us today to learn more about our high quality, fairly priced crane services. Purple Crane is the best crane company to call when you need help lifting, stacking, and/or moving shipping containers in Riverside. We will use our mobile cranes to lift your shipping containers, and have a heavy duty truck and trailer standing by to relocate them to any destination within Southern California. Give us a call; our professionals will determine the best crane and/or trailer for your needs. 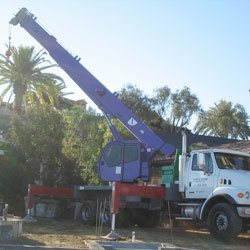 For three decades, Purple Crane has performed expert crane lifts for the utility industry. Our cranes, crane operators, and large trucks with trailers are readily available to assist in the lifting and transportation of streetlights, emergency generators, light poles, utility vaults, water tanks, and more in Riverside. 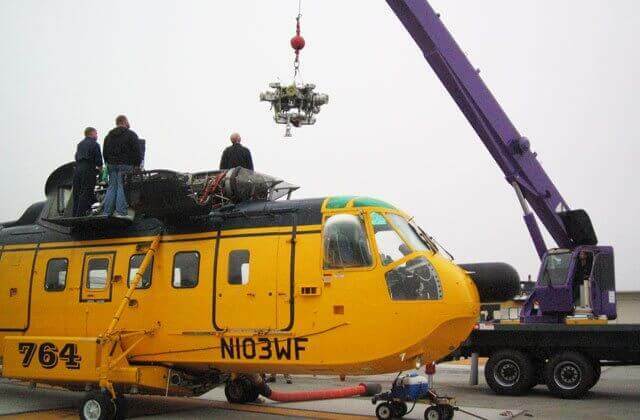 We can even provide a crane or boom truck with a man basket.